Residential Remodeling and Additions l Kalos Services, Inc.
A residential remodeling or addition project is not a construction site, it is your home. Would you really want to hire a contractor to work on your home who merely hires sub-contractor to perform all of the work? Do you want employees of sub contractors who are unknown to both the contractor and the homeowner working in your house? Kalos Services not only performs a majority of the work with its own employees, we also take the time to introduce those employees to your family before the work begins. We would never allow an unidentified stranger to show up on your door step for a remodeling project, expecting access to your home. We also take the time to discuss your concerns about the project, as well as measures that will be taken to protect your home from the dust & debris that occurs during the construction process. We understand that your project is not just another construction project, but it is the dwelling for your family and their possessions. Besides having honest and trustworthy individuals in your home and around your family, Kalos employees are some of the top craftsmen in their field. We have taken great care to recruit and hire only the best tradesmen with years of experience. I can honestly say, after 27 years in the Central Florida construction industry, we have the best team of highly skilled craftsman that I have ever witnessed. Ask us for a list of recent homeowners who have used Kalos Services for their remodeling work, and ask them yourself about the workmanship that was performed on their home. Residential remodeling projects can be wide ranging, you may need a master bathroom renovation on one side of the home, and a small addition with an updated kitchen on the other. 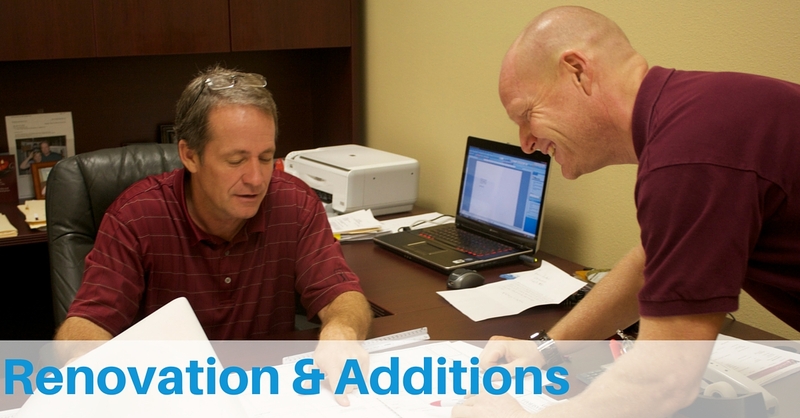 We offer the knowledge, expertise, and patience to organize the complex details of any remodel project. It may be as simple as adding or removing a wall, and adding an exterior door, or all the way to creating new custom living spaces. Kalos Services has the ability to execute your project with the highest quality craftsmanship and with the least amount of intrusion into your family’s busy schedule. Additionally, we can also provide professional design service and engineering for your remodeling or renovation project. Designs for anything from a small bathroom remodel, to large additions, complete kitchen remodels, or a new second story. We can also help with decisions on your Lighting, Plumbing fixtures, Doors, Windows and Air Conditioning options. Of course we are always willing to review and offer a quote for plans that have been prepared by your design professional. If you are considering a remodeling or addition project on your home, please, give us a call so we can sit down and talk one on one. We would be glad to bring along one of our field supervisors if you would like. We are continually making an effort to offer a service that provides the highest quality with the most trustworthy personnel. Thanks for taking the time to browse our website, and we look forward to speaking with you about your future home remodeling project. Robert B. Orr – President, Kalos Services Inc.